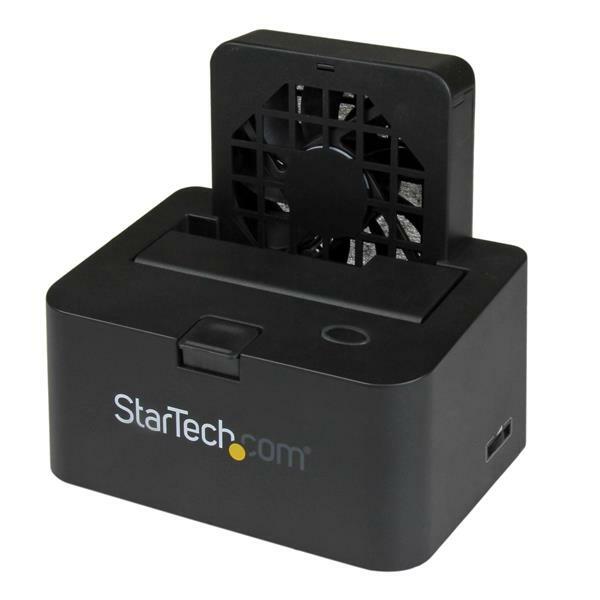 This USB 3.0 and eSATA docking station makes it easy for you to connect and swap your 2.5in or 3.5in SATA hard drives (HDD) and solid-state drives (SSD). 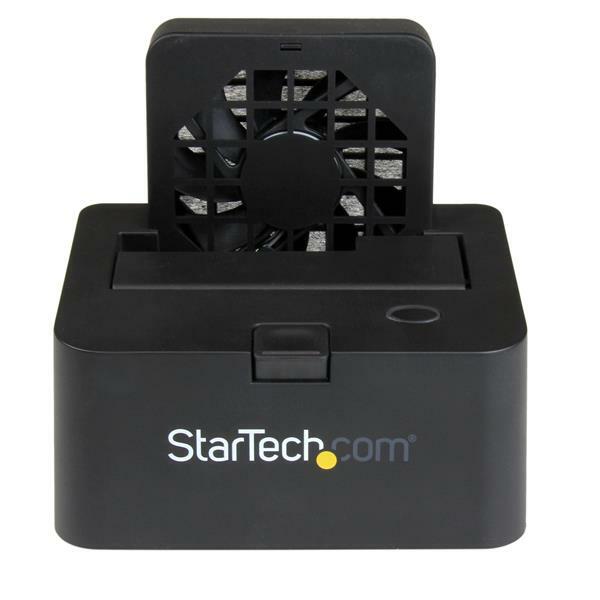 The docking station also has a built-in fan that keeps your drives running at an optimal temperature for peak performance and longer drive lifespan. 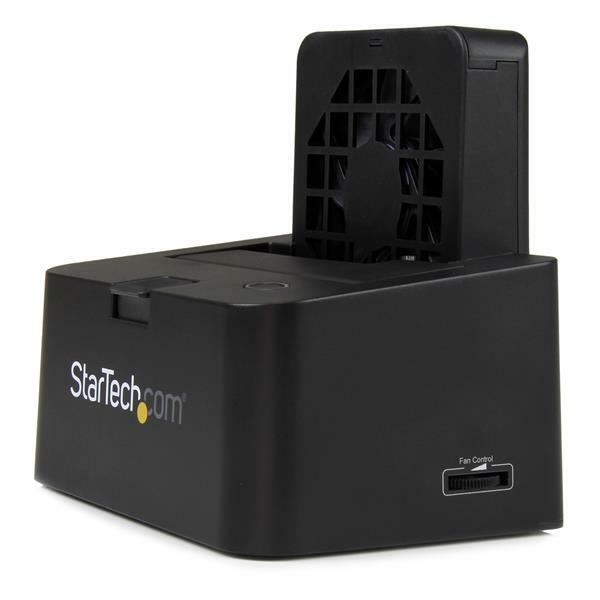 With support for either USB 3.0 or eSATA host connections, this versatile drive dock gives you the freedom to connect to your computer through either port. Because USB is available on virtually any computer, you can rest assured that this docking station will work with your desktop or laptop. Plus, the added benefit of eSATA ensures you can achieve SATA 6 Gpbs performance on computers with an available eSATA port. To ensure all your drives are supported, the docking station features a sleek slot-loading design that supports both 2.5in and 3.5in drives. The docking station has also been rigorously tested for support with large capacity drives (tested up to 6TB). 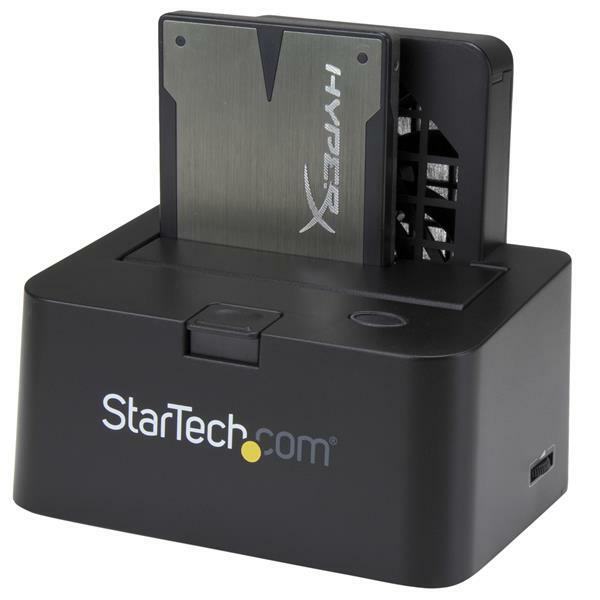 You can extend the compatibility of this dock even further by adding IDE support using our SATA to IDE Hard Drive Adapter (SAT2IDEADP), which allows for easy insertion of any 2.5 or 3.5in IDE hard drive into a SATA hard drive dock. For optimal performance, the docking station has a built-in 80mm fan that helps keep your drives running cooler. The fan offers variable speed control which enables you to make adjustments on the fly, in order to reduce power consumption and noise when your drives aren't being accessed. The HDD dock will also power down your SATA drives after a period of inactivity (USB mode only) or when the computer is turned off, to help reduce power consumption and noise when not being accessed. 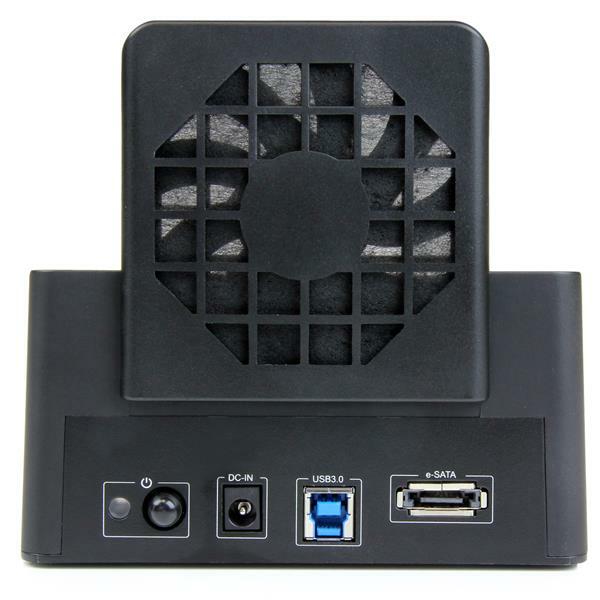 To save you time, this docking station is loaded with high-performance features on both interface connections. 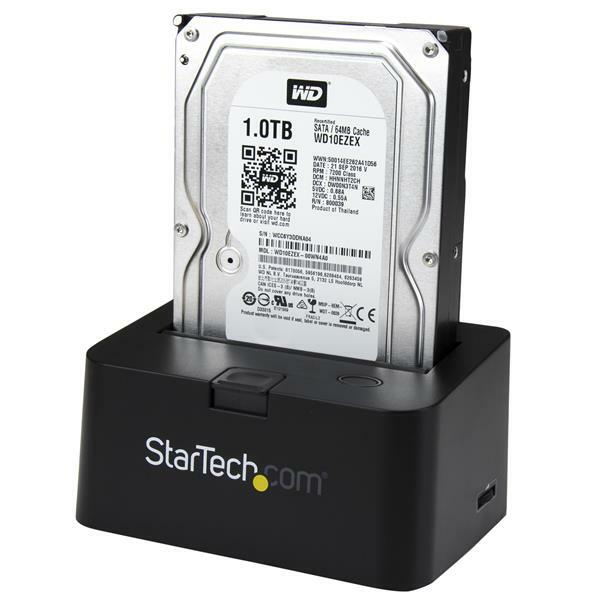 For the fastest possible performance, this dock supports full SATA III bandwidth of 6 Gbps when connected through eSATA, ensuring you can get the most out of your solid-state drives. With USB 3.0 the dock ensures high-bandwidth transfer speeds up to 5 Gbps. 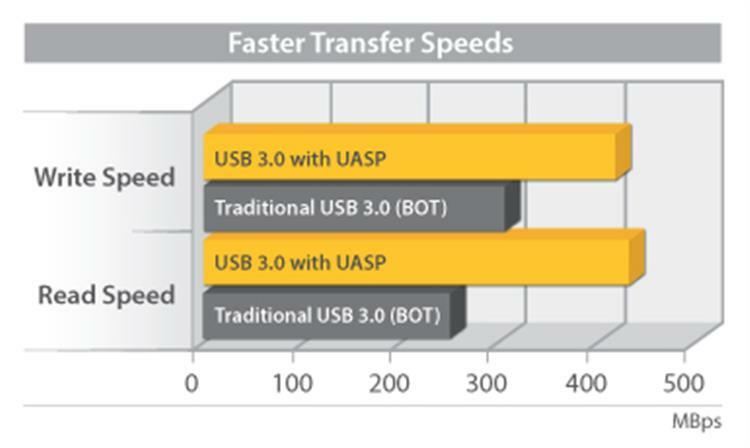 The USB host interface connection also supports UASP, which delivers performance up to 70% faster than conventional USB 3.0 when paired with a compatible host controller. UASP is supported in Windows 8, Mac OSX (10.8 or above), and Linux. In testing, UASP performs with a 70% faster read speed and 40% faster write speed over traditional USB 3.0 at peak performance. 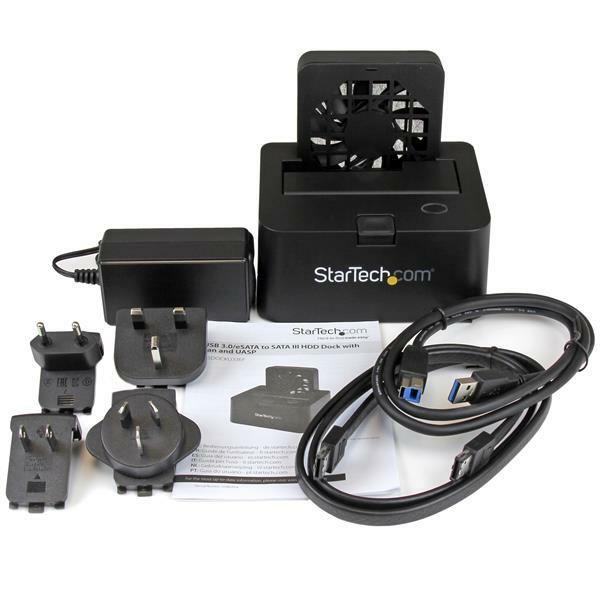 The SDOCKU33EF is backed by a 2-year StarTech.com warranty and free lifetime technical support.